A dynamic sculpture inspired by the volume and behavior of an idealized cloud. Made from polycarbonate tiles that can fade between transparent and opaque states, its patterns are transformed periodically by real time weather data from around the world. An installation in the San José International Airport with collaborators Dan Goods of NASA's JPL, and Nik Hafermaas of Art Center College of Design. 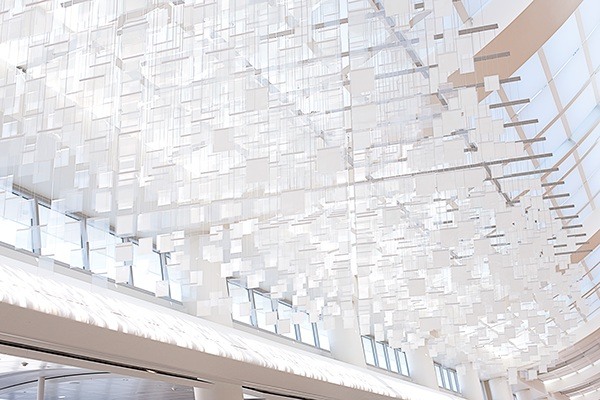 Cloud sculpture installed at the San José International Airport.